If you’d like to see the full letter, I’d be glad to send a PDF with signature of the client. Click here to read other reference letters from our website. 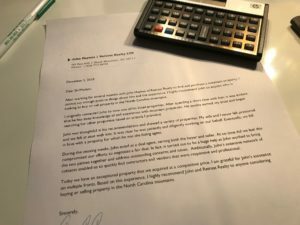 I appreciate the kind words and hope I can add such a letter from you after a successful sale or purchase. Call today to discuss your mountain real estate needs.